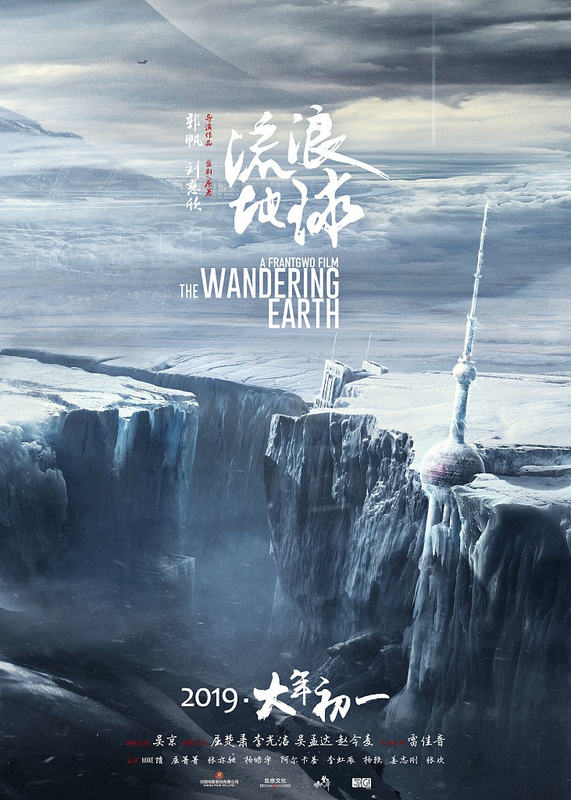 Hailed as the first hard sci-fi film produced by China, “The Wandering Earth” has apparently come up as a winner of the most competitive box-office race during the country’s Spring Festival, and garnered 1.45 billion yuan (210 million U.S. dollars) five days after hitting the theaters. It has also outshone other promising competitors such as “Crazy Alien” and “Pegasus,” and won acclaim from critics and the general public, both domestically and overseas. As latecomers in the sci-fi film genre, Chinese filmmakers are taking on a new perspective instead of following their Hollywood predecessors. “The Wandering Earth” was based on a namesake novel by Liu Cixin, China’s first Hugo-Award winning writer, whom many say has elevated China’s sci-fi literature to a new level. When Earth is in peril due to a dying sun, the Chinese plan is to lift the blue planet out of the solar system together with its inhabitants, a solution in line with the traditional Chinese virtue of attachment to the family and homeland. In the film, all human beings set up a “United Earth Government” and build 10,000 fusion-powered thrusters to push Earth out of its orbit and head toward a new solar system. All human beings have been transferred to underground cities as the surface of the Earth has turned into an uninhabitable frozen world. China’s foray in the sci-fi film genre appears to be quite satisfying. Many were overwhelmed by the grandiose imagination and the visual effects portrayed through cutting-edge CGI and 3D technologies. What has been brought up most in the overseas comments and reviews are the penetrating Chinese culture and values, which are quite different from the familiar Hollywood styles. Despite the fact that it was only released in a couple of areas outside China, the film has scored 8.0 on the film review platform. Back home, the film has received a comparable score of 8.0 points on Douban.com, China’s version of Rotten Tomatoes. Many were just thrilled to see a Chinese sci-fi film with a space-exploring mission and Hollywood-style visual effects. “I’m having goose bumps all over me seeing Beijing and Shanghai covered with thick ice in a doomsday film, and there is also the shocking Jupiter and Earth colliding scene,” reads a comment on Douban.com. The typical humorous elements, such as the repeated “safe driving reminder” of the so-called Beijing No. 3 Transport Administration Commission, have also drawn the Chinese audience closer. Most Douban.com users have noticed that the plot is far from perfect, adding that there are far too much “sensational moments” which appears to be stiff and awkward. 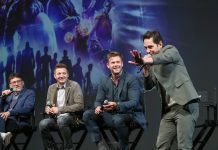 Some complained about the depiction of the characters, saying that they are “functional roles” and appeared to be thin. Some of the lines also draws criticism for being verbose and slowing down the pace. On China’s social media platform Sina Weibo, netizens even launched a hashtag “Rewriting lines for Han Duoduo,” the junior high student starring actress Zhao Jinmai. Over-sentimentality, loose script structures and awkward lines have been frequent areas of complaint in Chinese domestic films. While giving their generous compliments and encouraging comments to the country’s first step in the sci-fi genre, strict movie-goers are not hesitant at all to add that it is time for the scriptwriters to catch up with the growth of the industry. We’ve decided to choose hope! While hard sci-fi fans are debating the scientific possibilities depicted in the film, insiders have praised it. 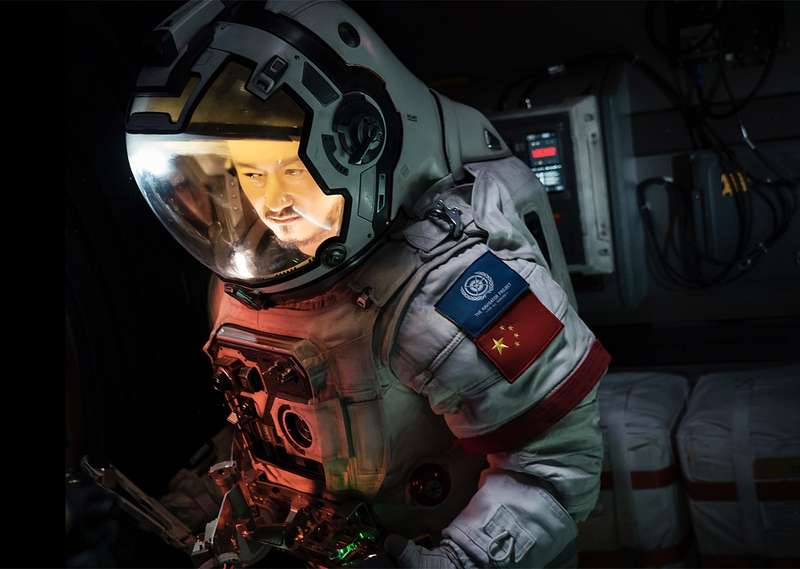 Raymond Zhou, independent critic, was quoted by New York Times as calling the film symbolizing “the coming-of-age of the industry.” A number of reviews say “The Wandering Earth” could herald a new dawn for Chinese sci-fi films. The film’s budget is reportedly to be around 50 million U.S. dollars, which is modest compared to that of a Hollywood blockbuster. But the figure is big enough for a Chinese film given the initially low expectations. Ever since Liu Cixin won the Hugo Award in 2015, the Chinese passion for sci-fi depictions have been reignited. Liu’s most renowned work, “The Three-Body Problem,” was reportedly adapted into a film back then but suspended due to technological issues. Experts predicted then that it might still need decades to see a domestically produced sci-fi film as successful as the Hollywood blockbusters such as “Interstellar” and “The Marttian.” Now, with the first step being made, that time-frame might be shortened. In “The Wandering Earth,” even with a close-to-zero chance of successful escaping, human beings have chosen hope, since “Hope is precious like a diamond in our time.” It could be the footnote for Chinese sci-fi films as well.